Develop the content literacy and knowledge diverse students need to read and respond to Social Studies information. 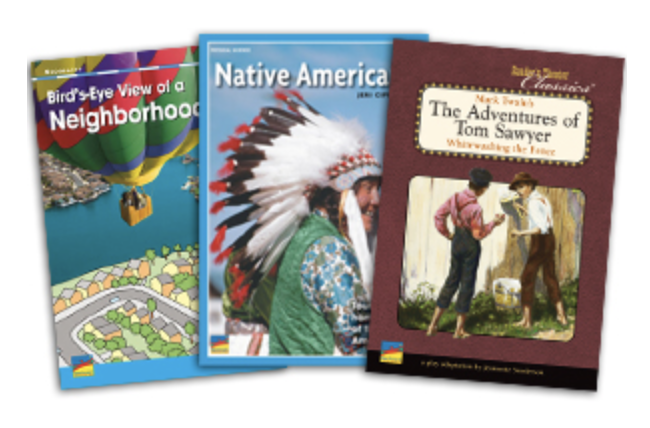 Introduce content-area vocabulary and concepts, as well as the reading of nonfiction. Provide content at the right reading levels and help students comprehend complex text. Scripts enable students to learn about different times and places actively and enjoyably. Standards Close-Up includes leveled topic sets to help students meet new standards, while building science and social studies knowledge.